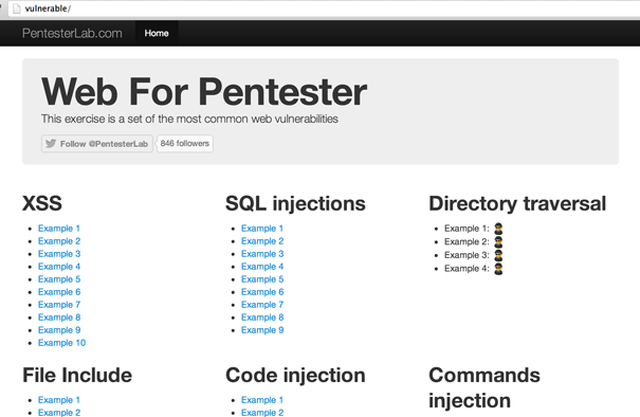 PentesterLab is an easy and straight forward resource on how to learn Penetration Testing with Pentesting Lab Exercises. It provides vulnerable systems in a virtual image and accompanying exercises that can be used to test and understand vulnerabilities. Just decide what course you want to follow, download the course and start learning. You can easily run the course using VMware, no Internet access is required. So what do they provide actually?